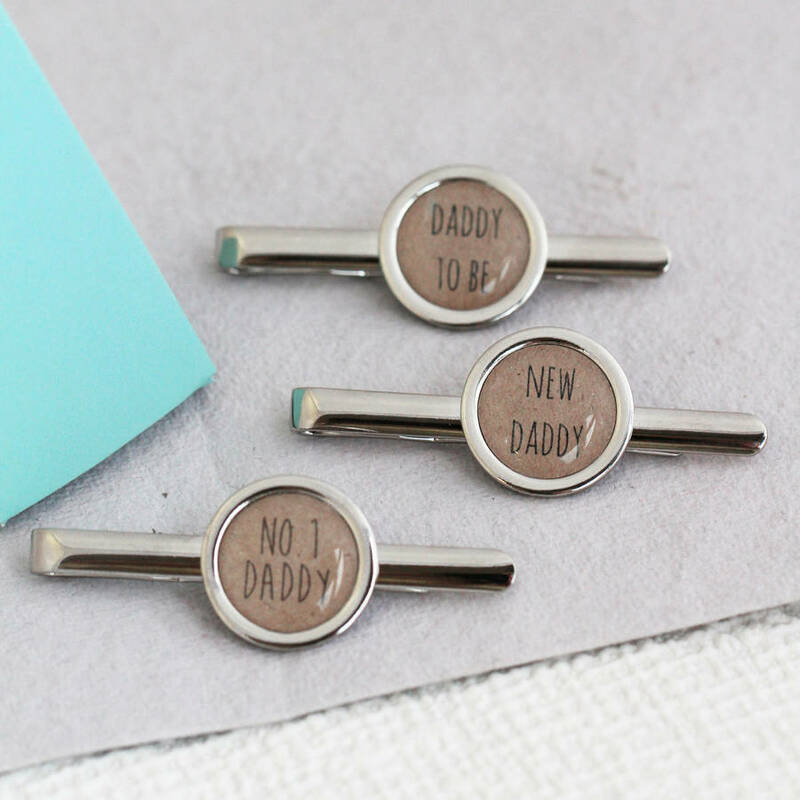 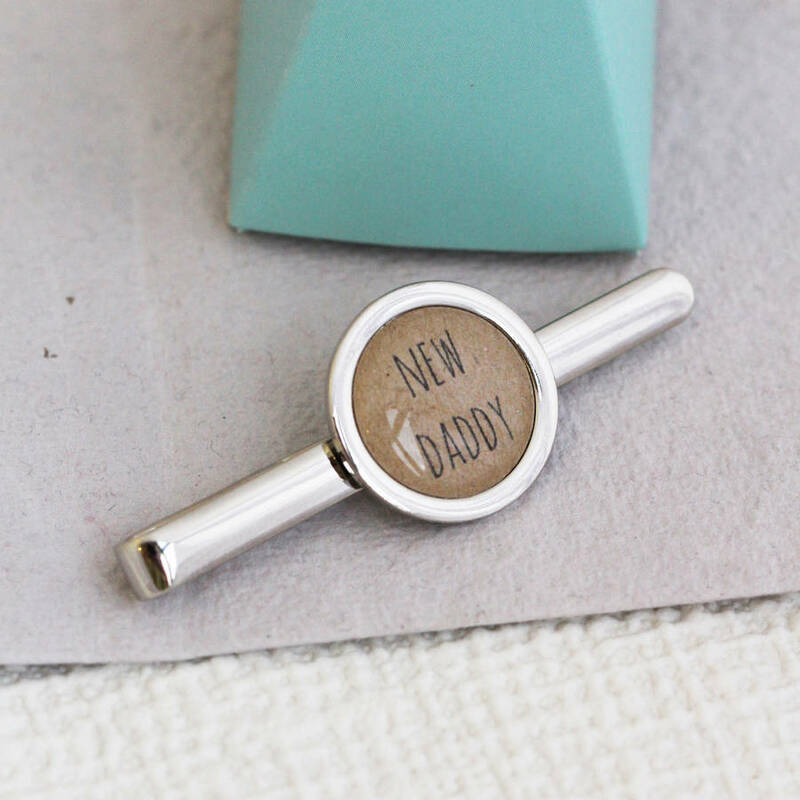 Proud Daddys around the world can now add a little cheeky charm to their suit with this personalised Daddy tie clip. 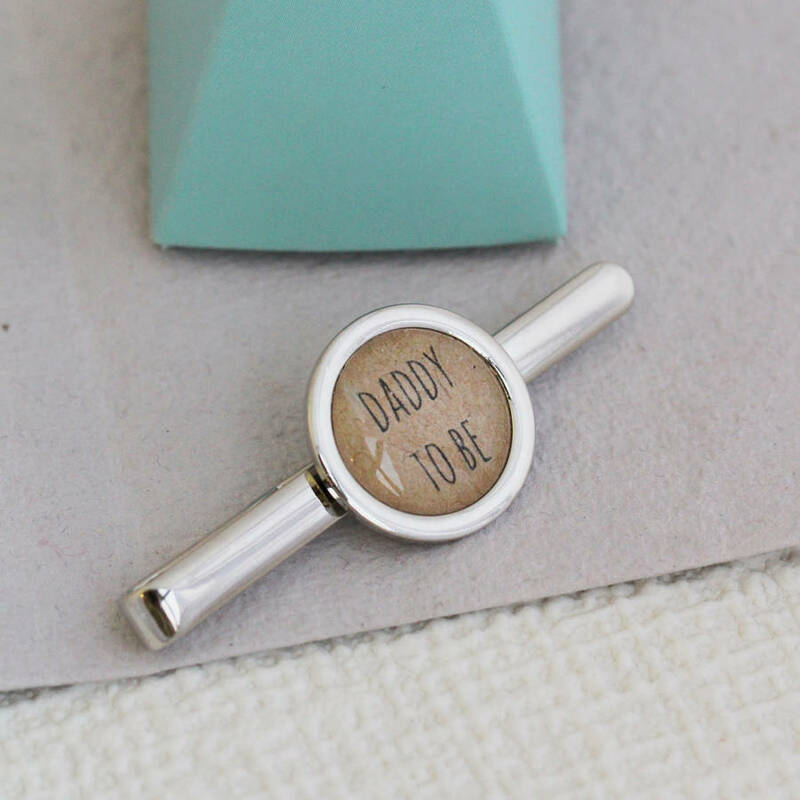 Handmade in our work studio, your message is placed onto kraft colour paper before being set beneath a dome and onto a silver coloured tie slide. 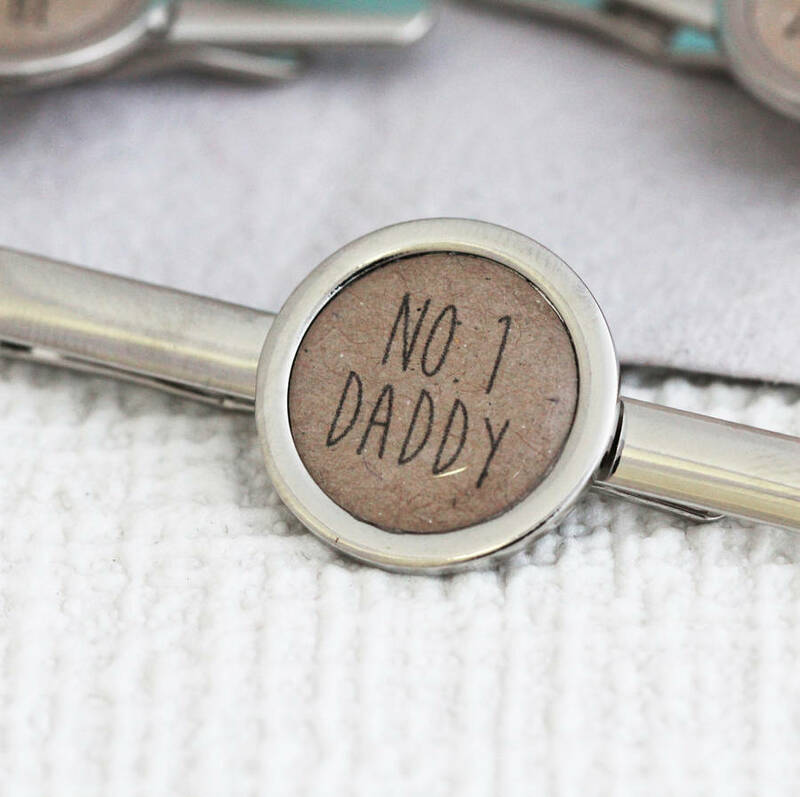 A perfect gift for new fathers or just a little reminder that he is the no.1 Daddy! 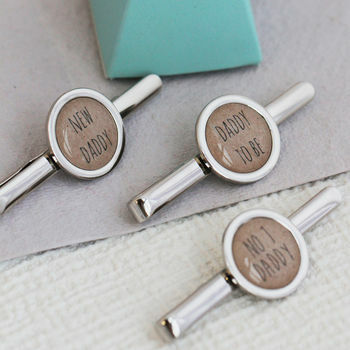 Silver coloured nickel plated cufflink with resin dome.